Home » Posts » Attentionology for K-5 Teachers » Celebrate Earth Day Every Day! In sunshine or rain, creative teachers find engaging ways to celebrate Earth Day outdoors or inside. April 22 is designated as Earth Day in the United States and over 190 other countries around the world. Related events are scheduled for days before and after. Since Earth Day falls on a Saturday this year, plan time ahead to involve your class in activities that promote the good stewardship of natural resources. If the Animals Could Speak – Personification is a sure way to catch and keep K – 5 kids’ attention. 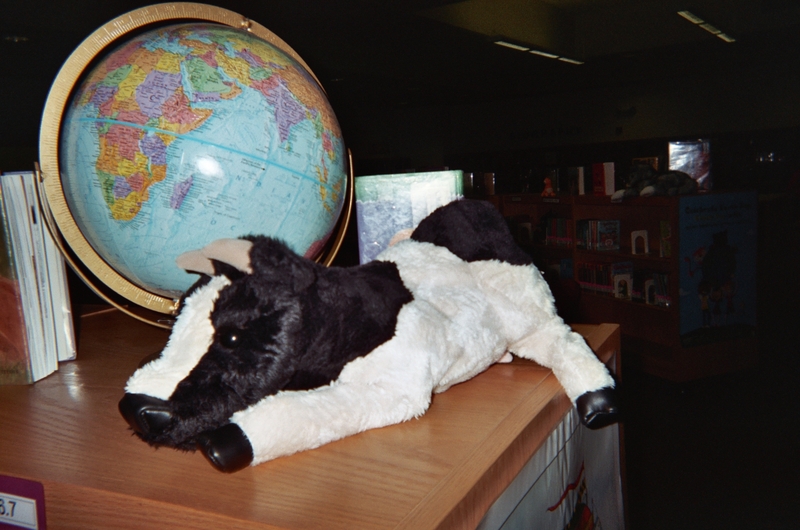 Place a large stuffed animal near a globe on a table or shelf in your classroom and “bring the animal to life”…personification for teaching. After students offer answers, which you may note on a chalkboard, whiteboard or Smartboard, share my short poem (below) with the class. NOTE: Depending on students’ grade level, you may need to explain the meanings of conservation and conservationists before reading aloud. Lead a Flower Parade on a Stroll Down Earth Day Lane – Take your class on a real or imaginary walk down Earth Day Lane. Plan ahead for a flower parade on your stroll by sending notes home asking that students bring at least one live or silk flower to class for your Earth Day Flower Parade. Distribute the flowers to students and instruct them to gently wave them during your parade. Optional: play music as students stroll. 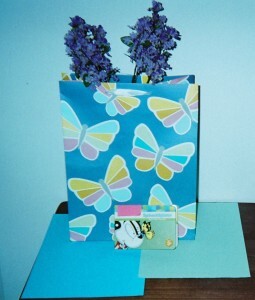 Silk hyacinth stems stand tall inside a butterfly bag with a butterfly book in front to draw kids into reading about science. Foster scientific thinking with a focus on natural resources after the flower parade by asking for students’ observations about the flowers and other natural “treasures” you use or find. Take Imaginary Flight Above Earth Day Lane – Employ imagination to add impact to science lessons. How? Introduce eye-catching resources and imaginative activities that connect with reading and creative writing. Set out a book about butterflies, for example, next to a gift bag with a butterfly design to draw kids into reading about science. Invite students to write a story in which they imagine themselves as butterflies or birds finding their way above Earth Day Lane. Teach that imagination is a critical tool, not just in writing but also in science. Not a shadow of a doubt…Pop-up Puppets delight children. 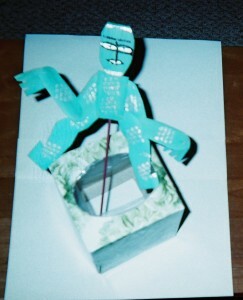 Re-use tissue boxes to celebrate Earth Day. Make Pop-Up Shadow Puppets and Stages with Re-used Tissue Boxes – Who knew that something as common as an empty tissue box could be re-used and turned into such a fun and effective teaching tool! Spin Some Wind Power – I’ve never met a child who doesn’t love to make a pin wheel spin with the force of his or her own wind! Harness your class’ enthusiasm for science by inviting kids to take turns blowing on a pin wheel to make it spin as you begin a science unit that includes wind studies. Set the pin wheel outside your classroom window for students to observe on windy days. 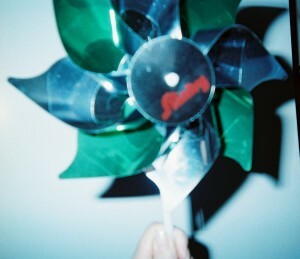 Explain to students, in age-appropriate ways, that wind power is growing in popularity as an alternative energy source. Celebrate Earth Day by inviting kids to take turns making a colorful pin wheel spin to learn about alternative energy sources. Every day truly can be Earth Day.